The U.S. Department of Agriculture recently took important steps in building climate resiliency, and the U.S. Environmental Protection Agency (EPA) needs to pay attention. Climate change jeopardizes the security of the global food system and the viability of family farms and rural communities. Farmers and ranchers are already experiencing increases in extreme weather events and changing precipitation and access to water. Coping with these changes is expensive. The increased infrastructure and inputs needed to maintain production in a changing climate are likely to put many smaller farm operations out of business, contributing to further consolidation and erosion of the food system’s resiliency. The Renewable Fuel Standard (RFS) is the program that most effectively brings farmers and rural communities into climate resiliency efforts operating today. According to the EPA, the transportation sector is responsible for 27% of total U.S. greenhouse gas emissions. The majority of emissions from the transportation sector result from burning petroleum-based products in internal combustion engines. The RFS requires blending specific volumes of biofuels into the nation’s fuel supply, displacing set amounts of traditional transportation fuels with renewable products that produce lower greenhouse gas emissions. The infrastructure needed to meet the RFS volume requirements has sprung where the feedstocks can be readily procured, and drive much-needed reinvestment in our rural communities. The RFS’ engagement of producers by offering value for engaging in climate resiliency should be recreated in other federal efforts and will facilitate future conversations and outreach efforts regarding the impact of climate change on agriculture. NFU has long contended that EPA does not have the authority to consider distribution infrastructure in setting annual volume targets and that forcing branded oil to build the infrastructure to meet the EISA’s volume targets is one of the most important aspects of the law. EPA should be barred from considering industry’s ability to offer biofuels to consumers; the law was intended to force industry to attain the ability to offer the mandated amount of biofuels to consumers. But if EPA continues to insist on considering branded oil’s resistance “inadequate domestic supply,” the agency should revisit the proposed volume targets in light of recent actions taken by USDA. Earlier this month, Agriculture Secretary Tom Vilsack announced the award of $100 million to 21 states to match private and state funding for almost 5,000 pumps with higher biofuels blends at over 1,400 fueling stations through the Biofuel Infrastructure Partnership (BIP). 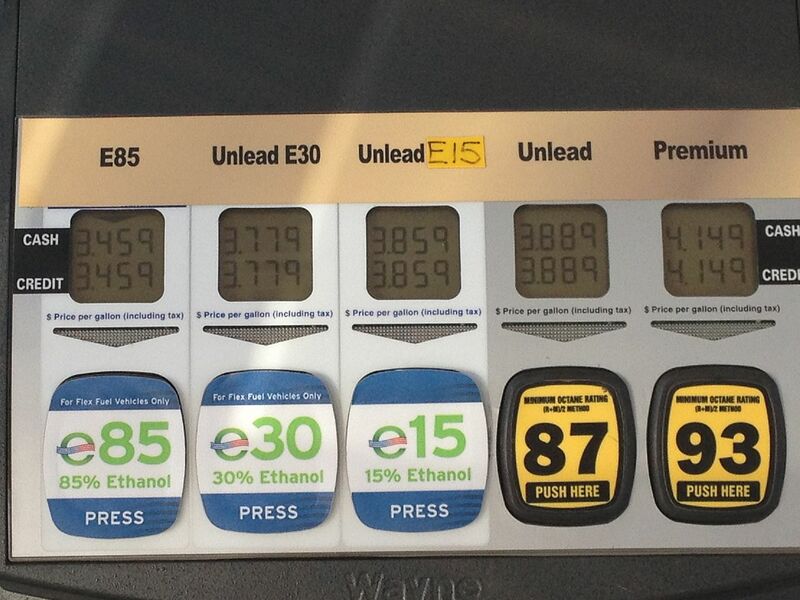 In the preamble to the proposed volume targets for 2014, 2015 and 2016, EPA claims that fewer than 100 fueling stations in the U.S. offered E15 blends and only 3,000 stations offered E85 by the end of 2014. The 1,400 stations USDA will enhance is a significant increase in biofuels infrastructure and should have a direct, positive and substantial impact on EPA’s proposed volume requirements. The final RFS volume targets for 2014, 2015 and 2016, which are due in November, should not consider distribution infrastructure at all. But even if the oil industry prevails with this false assertion, USDA’s BIP undermines their argument by helping more consumers connect with biofuels. NFU appreciates the commitment to biofuels and rural communities that USDA has demonstrated in executing this program. What have the RFS and biofuels done for your community? Comment below!